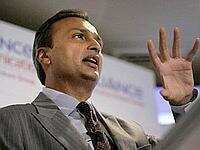 Mumbai: Anil Ambani group firm Reliance Capital Ltd reported a 20% jump in net profit during the second quarter this fiscal on strong growth in mutual fund, insurance and brokerage businesses. The stand-alone net profit stood at Rs201 crore during the quarter ended September from Rs167 crore in the same period last financial year. Total income grew 76% at Rs391 crore in the quarter compared with Rs223 crore in the year-ago period, the company said in a statement. On consolidated basis, the group’s net profit witnessed a jump of 4% to Rs200 crore compared with Rs192 crore in the same period last fiscal. Total income increased 77% to Rs953 crore in the quarter under review, against Rs537 crore in the corresponding period last fiscal. Total income of the financial services group more than doubled to Rs2,129 crore in the first six months this fiscal from Rs893 crore in the corresponding period last fiscal. The group’s life insurance business posted a more than twofold growth in new business premium at Rs650 crore for the first half year as against Rs246 crore in the corresponding period. The general insurance business also saw gross premium more than double to Rs946 crore as compared with Rs348 crore in the previous period, the statement said. Assets under management of Reliance Mutual Fund, a part of Reliance Capital, increased to Rs70,441 crore as on September, while it was at Rs28,648 crore in the same period last year. The company’s shares fell 10.60 points, or 0.59% to close at Rs1,775.10 on the Bombay Stock Exchange on Thursday.